Hubpages.com: Impressions, Views, Accolades and More. Before I get started, let me say that I am satisfied with my Hubpages.com experience. I’ve learned a lot from other writers, made some great friends, and been inspired by the articles I’ve read. Friendships aside, the best thing about Hubpages.com is the variety of interests among the writers. Whether you’re interested in politics or knitting, gardening or travel, animal rescue or social change, you can find writers here who are both passionate and knowledgeable on the subject. 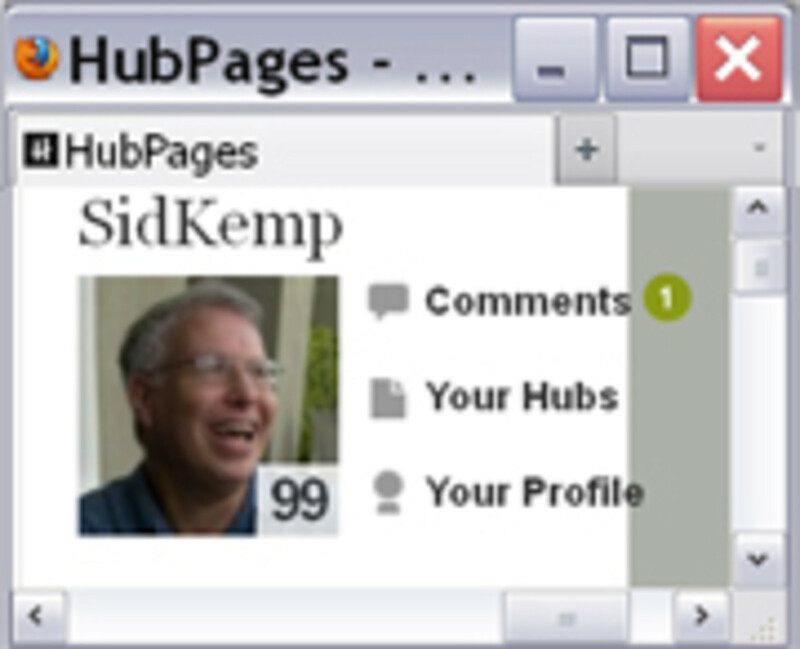 Joining Hubpages.com is like walking into a coffee shop where the best of the best are gathered to tell stories. There’s warmth here that you won’t find on other writing sites and that’s the only reason I am still here. You can’t just join Hubpages.com to write. Oh no, you have to love reading too. It helps to be hungry for knowledge and interested in the process of crafting an effective message. Many writers are loners but to really benefit from the Hubpages.com experience, you have to be willing to participate in the social side of things too. If you’re not a social animal, Hubpages.com may test you. But, if you're up for a bit of partying with a great group of writers, click here to join Hubpage.com. In just a few short minutes you will be on your way to hob-knobing with the best of the best. Let me tell you about a few of my friends. There have been times when I was moved to tears by my friend Faith Reaper and her big heart and I have laughed until it hurt over the funny limericks of MHatter99. My sidekick bravewarrior shames me with her commitment to going green and John Sarkis teaches me about classical music and finding beauty in the strangest places. MizBejabbers can spin an Arkansas tale like nobody’s business and DrMark961 has helped me through more than one crisis with my dog. Then, there is Daisy Mariposa whose research has takien me around the world and back and ecogranny who beats the drum for conservation and social responsibility and Jill Freeman will reach into her toolbox and help you handle depression, learn about disability, and share a delicious vegan recipe too. I could go on for days about the talent and quality of work from the dedicated writers here on Hubpages.com but I won’t. What I really wanted to talk about today are the little things about Hubpages.com that most of us don’t really understand. These are the things that happen on the periphery of Hubpages.com so, let’s get started. No one seems to really understand it. It seems that when I do nothing for a week my score will skyrocket but when I write a hub a day and answer a question or two, my score drops like a thermometer tossed into a freezer. I've given up trying to understand but in case you're interested, here are a couple of great hubs that have been written on the subject. Check them out. 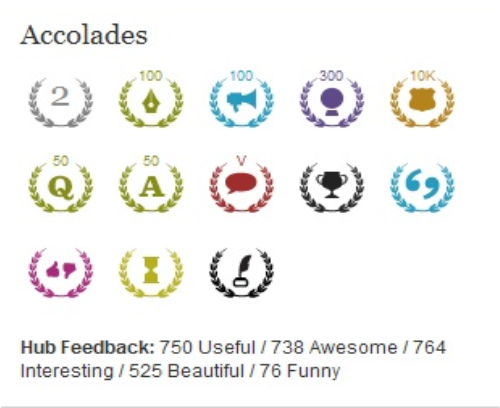 Accolades are those cute little buttons you will find on your profile page, They make you look very accomplished once you have acquired a few. I now have thirteen but can’t seem to acquire any new ones. An accolade for Hub of the Day has eluded me as has the Rising Star and Hubbie Award. My self-confidence is shattered as a result and I guess I will just have to find satisfaction in watching my other accolades grow by the numbers. There is a lot to know about those cute little Accolades but since I'm no expert, I'll refer you to the article link on the right. I love the comments I receive when someone thinks enough of my writing to leave one. I always try to respond quickly and in a way that lets them know how important their opinion is to me. Likewise, when I take the time to read someone else’s work, I leave a comment that I hope demonstrates my appreciation for the research and time they spent on writing about the subject. I also look forward to their response to my comment. Growing up in the south taught me to be courteous and I think it’s the least I can do when someone shares their talent with me, the reader. It only takes a minute to leave a personal remark that lets them know I read the entire article. Nope, I don't scan their work. I read every word. For some reason that can’t explain, I seem to also be experiencing a comment drought. Even when my page views escalate, I get very few comments. Perhaps I’m not being read by fellow Hubbers. That would explain it, I guess. Watching my total Page Views grow is the highlight of my day. Well, at least it used to be. I hit a real hot streak about a month ago and saw the number grow by the thousands over the course of a week. Then, it froze. For several days the number never changed. I headed for the forums where I posted a question about the frozen numbers. I was referred to another forum question of the same nature where I was told by Hubpages.com staff that they “were working on it”. Since then, things did get better but things are far from good. My little thrill each day is not so thrilling. I seem to have dropped off the Google radar and probably Bing too. I’ve been told that something called Panda was at fault but that is way beyond my level of knowledge. Whatever happened, I seem to be in a Page View drought right now. Impressions are those little things at the bottom of an article that you can click to show how you felt about the Hub. Reading from left to right you can click “thumbs up”, “thumbs down”, “useful”, “funny”, “awesome”, “beautiful”, and “interesting”. It was my impression that “impressions” contribute to your revenue so I never read a hub without leaving an impression. Doing so seems to be a thing of the past for most of my readers. Few people click on the impressions after reading my articles and I guess that’s why I had to buy the economy brand of toilet paper this week. Come on guys, help me out. Is it asking too much for you to click one more time before you leave? I call them “non-sense” ads because I can’t make heads or tails out of how to earn with them. After two years of writing, I’ve had four Amazon.com products purchased through my hubs and earned a whopping $17.00 as a result. Google Adsense makes no sense to me so if anyone is looking for something to write about, “Adsense for Dummies” would be really helpful. I am having a pity party and you are invited. At the risk of sounding like a wimp, I’m starting to think I should go back to coloring books and leave writing alone. Honestly, I don’t color within the lines so well either. I write from the heart. No one can ever accuse me of being a niche writer. I’m just not. Maybe that’s the problem. Do you really want someone who writes about the same thing all the time? It’s not me. Maybe my expectations are too high. My friend Bill Holland (aka Bilybuc) told me when I started here on Humpages.com that it takes a while for Google to recognize you. He told me how important it was to support other writers and to become an active member of the community. I’ve tried but, unlike my friend Bill, there are only 24 hours in my day. Clearly he has twice that many hours in his. He writes a hub every day, maintains a blog, reads the work of dozens of writers, and recently wrote a book too. Oh, did I mention he also has his own clients that he writes for every week? Yeah, I’m sure he has at least 48 hours in his day. Since I only have 24 hours in my day, I need to wrap this up. My Hubpages.com statistics are frozen again and I can't get my thrill watching page views, impressions, and accolades grow in numbe. ; So, I'll go read some of the great hubs by my friends. I might even find some new writers who could use a little support. I’ve always heard that the best way to get out of your own misery is to help someone else. So, watch for me on the Hubpages.com highway. I’ll be the one leaving a comment full of passion and checking those impressions before I leave. Hello Mary. Thank you so much for reading my hub and taking time to comment. I agree about the connection that is made when someone leaves a comment. Hubpages has been a grand experiment for me. I have met (via the is format) some of the nicest people who have been very encouraging and supportive. It's amazing how a comment can make a day so much brighter. I even appreciate the ones that are critical. We all need challenges if we are to improve. So, don't ever hold back on me. Thanks again for spending tine with me. There is a lot that can be confusing on Hubpages but the most important thing is to keep writing. The site is constantly evolving which can only be a good thing. Bill Holland has been a driving force behind many of the writers here on Hubpages, myself included. Had it not been for his kind words, I would have given up ages ago. Because I stuck with it, I recently passed the 1,000,000 views mark. With regards to comments, I think they help an author know that what they are writing matters to people. Anyone can read an article but when they take time to leave a comment, you know you have made a connection with that person. I have been with HP for some over 19 months, and I got my own stages of expectations, disappointments, enthusiasm--- not necessarily in that order. Well, Linda, my friend, with everything that HP may be providing in our lives---it's only a little hobby, and it helps when we see it that way. Personally, I can't see myself sitting by my laptop for a duration of a daily work shift. "Having a life" means a lot even at this vibrant age of 72. I like my walks, meditations, my qigong practice, reading, chatting with my wife, seeing friends, going shopping or just window-shopping, doing chores like vacuum cleaning or washing dishes. I may even get back to my oil painting soon. Even just pacing over my living room may trigger some good thinking, moods, plans. Well, with my acquired and trained mentality I could easily gaze at the wall for an hour and just be with my thoughts. I call it "returning to myself". In other words, I like my life balanced, and HP activities are merely a part of that balance, no more, no less. There are some wonderful people I got to know, and I cherish every moment of our interacting. It's been a pure pleasure reading your hubs, Linda, and also reading between the lines about that big heart of yours---maybe too big at times. Be well, my friend, and enjoy your Hubbing. jamesplee, Hello and welcome to Hubpages. I appreciate your visit and your comment. HP takes a bit of time to figure out but the best advice I can give you is to leave lots of comments, make friends, and if you do nothing else, follow Bill Holland (billy buc). He is an awesome writer and is so willing to share what he has learned. Yes, I am owned by an Italian Greyhound. lol Sadie is my second after losing my first one (Luna) to cancer. They are funny little dogs.. I am a fan of Shiba's as well. I will visit your profile and check out your hubs. Thanks again!!!! I'm just starting here at Hub pages and this is the second comment I've made. Thank your for such good advice. I noticed the Italian Greyhounds in your other articles. they're great. I currently have a Shiba Inu myself. kaiyan717 , Thank you for the visit and the comment. I agree about using social media. Impressions are what they call views and you get paid with each one if there is ads on your hubs. Accolades don't really matter outside of this website, except for the page view one. Hubscore? Never got it. It doesn't affect who and how many people are checking out my hubs. Page Views- the only thing that matters on this site, in a financial sense anyway. I would suggest, don't leave it to Google. Social media accounts for at least 70% of my views. Share it once or twice and let it run. Even better, let your readers share it and sit back and watch the numbers climb. Kourtney Tippy , hello! Thanks for the visit and the comment. Dear Momia saad, thank you for the visit, comment, and sharing of my. I apologize for the delayed response. I must have missed the notification. I am glad you found this to be helpful. Dianemae, thanks for the visit. Like you, I write for fun too. Reading has always been a passion. I love learning about things I might never be exposed to in real life. Hubpages provides that and also a community of amazing people who inspire and challenge me. The accolades are a bonus that mean little to me other than providing markers of my time here. I also enjoy reading other hubs. The interest of other people just amazes me. I never gave much thought into the accolades until I get one and say what did I do to deserve that. I write for fun and I read for knowledge and pleasure. I just started writing for hub and always wanted to know how the score works and now i have an idea. Thanks! Mary, you are my giggle for the start of this day. Of course you get an accolade, from me anyway. You have stated it perfectly, that there are almost no other places where we can write about anything at any time. I started writing because I love words and, my vision had deteriorated to the point that I could no longer work because of the loss. I thought perhaps I could make a living doing it. I have resolved the disappointment of realizing how hard that would be. Now, I write because I have something to say or, just for the challenge of putting words together to warm a heart or share a smile. I feel accomplished this morning after reading your message. Thanks! It's a big boat we're on Linda and you've described it perfectly and with ladylike humor. I know there are days its hard to be ladylike when things are so screwed up, but, as you've mentioned the love of writing and the love of the wonderful people here keep us going. Where else can we write to our heart's content? Where else can we go from poetry to flash fiction and still see it online? It may frustrate us but we all love it! This was a great hub to read first thing this morning. aziasaaa:" Thank you so much. I took your advice and have calmed down. lol So glad you enjoyed this hub. It was fun to write too. your post makes me smile, especially on the viewer's drought part. this is too cute. now now, calm down. i need extra hours too but mostly for sleeping. Aarrg! HubPages is acting a little wonky for me this weekend too. It seems to time out on every other page for me. I dunno. Still works better than Bubblews though haha. Shana, who was it that said "I yam what I yam"? Was it Yosemite Sam or Buggs Bunny? Anyway, I yam what I yam too. And I'm glad you accept me for who and what I am. Witches Tower? Grilled Cheese and wine? Yep, I'll be there. MICHELE (akaNicole)....I am so sorry. I don't know whether to blame the mistake on my eyesight or the lack of coffee or, just me. Please accept my apology. Thank you for the referral to another article! Linda, you did a great job of explaining HubPages and even got a laugh or two out of me. Thanks for explaining what impressions are. I'm one who always goes back up after I've left a comment and start clicking buttons (I never knew what they were called before now). I love that you're not married to a particular niche. I like writers who are versatile and not predictable. You touch on so many topics and do so with passion and humor. That's what makes you a joy to read. Enjoy your weekend my friend. I'll meet you in the Witches Tower. I'll bring the grilled cheese. You bring the wine! MartieCoetser, you hit the nail on the head. The community here is a benefit to each of us as human beings in spite of the frustrating scores and earnings. That is something to hold on to because it is true that we have grown personally from the experience of sharing with others. Thank you for reminding me of that. It's always a pleasure to find you in my comments. Thanks for adding to the dialogue and for the encouragement. Faith, there you are again, lifting me up with your angel wings. I have missed you too and think of you so very often. I hope that life is being good to you. You are always the sunshine on my day when I see you in the comments of my hubs. Your friendship and support mean so much and that is what keeps me here. No worries. I'm here to stay. Hugs to you sweet friend. You are precious. Eric, thanks! I absolutely agree. Paula, I loved you THEN and I love you more NOW. What an attitude. I'm working on my EFF-it attitude too. I'm almost there. And like you, I don't care who doesn't like it. Been down that road of worry/stress too many times and finally realized that most of the time, it wasn't worth it. I change what I can and say to hell with the rest. I wrote this one mostly because I am tired of feeble excuses from HP and thought I'd have a bit of fun at their expense. Not expecting a thing but I felt it was time to speak up. Hey, I'm proud of you and will work on joining you in the blissful place you found. Hugs! I totally agree with you, Irc. This is exactly how I feel about HubPages. I have decided to ignore my score because it activates all my ulcers. Rather concentrate on the variety of hubs published, all the knowledge we obtain, and most of all on the wonder to communicate with highly intellectuals all over the world. We just keep on broadening each other's perspectives. Happy hubbing! Aw, Linda, you are the best and now you have moved me to tears. It is the beautiful community of writers, such as yourself, who make this site what it is ...a family. I have not been able to publish as I would like to hear of late, but hope to get writing again soon. But I do love to read, as you do, and I am always blessed beyond measure with all of the wonderful writers who share of themselves in their writing. I thought of you just this morning, thinking I need to get over to Linda's side of HP Town to see what she has been up to. I have not been getting a lot of my notifications it seems. I am so glad I made it over this day and read this piece. You have certainly made the HubPages experience such a beautiful one for me. I love seeing your beautiful smile too. 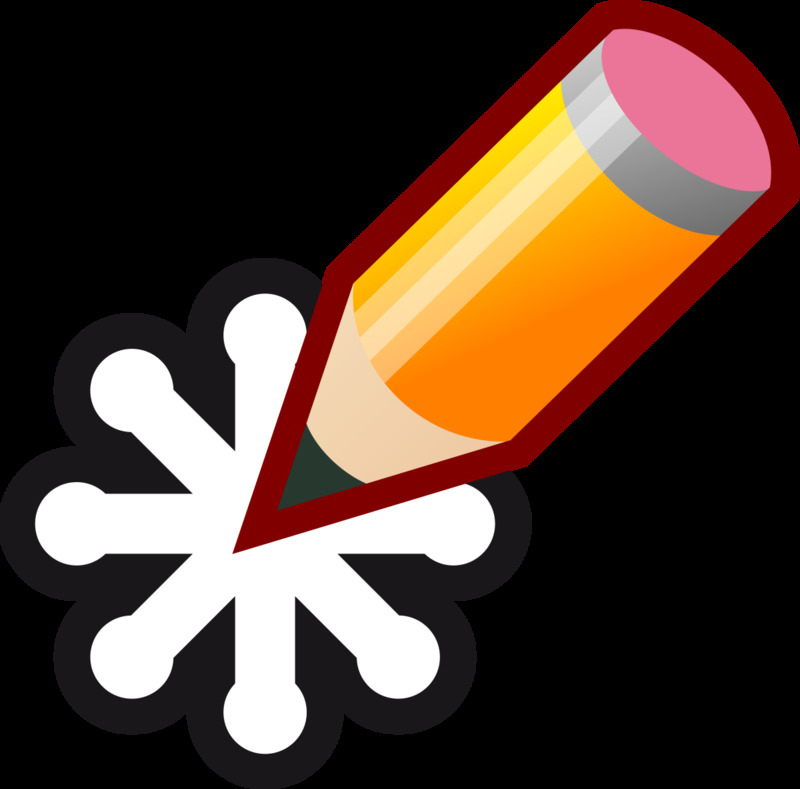 Your writing is stellar and should earn into the millions! I am going now to catch up on all that I have missed from you and share everywhere, sweet woman. Thanks for the mention. I tried to read this earlier today since it was raining (and slow!) but every time I clicked on it the message came back "this hub is no longer published". Another HP fluke? We should all get another accolade for that!!! The best comprehensive guide to Hubbiness that I have seen. It is all about the warmth and not about the gadgetry or pageantry. OK...this is better....This is the hub I tried to read earlier and up popped a message telling me it was "unavailable." I could not believe what I was reading, Linda. Literally...word for word...I could have written this HUB! Every sentence mirrors my sentiments, my questions and concerns. Perhaps the difference between us is that I simply stopped caring. My big thing is that I will go to any length necessary to avoid stress. A few years back....I may have been visited in my sleep by the BRAIN-Fairy.....because I woke up and my first thought was, "Girl, your whole effing life has been one enormous Stress-Mess.....time to stop. NOW!" I'm made a whole lot of changes.....nearly transformed myself into someone else entirely. When Something, someone......ANYthing, anyone begins to annoy me, confuse me or trouble me......I'm done. EFF it...has become my new and not so lovely mantra. My family thinks I've gone off the deep end......my friends are all baffled ....but I'm just as happy as a Lark! They just can't seem to adjust to the fact that I will not allow anything to bother me. Oh well.....that's their problem. I love this hub. I'm afraid I don't look at my stats...don't care what they are and the money I make is laughable.....my earnings are like a soap opera.....they change so little, I only have to look every other month. I mean, how long does it take to count 3 cents? I know all of my hubs are featured, but I don't know what the HELL "featured" means....am I on google? Who knows. I'm here for $hits & Giggles....the great writers and the interaction. I get that every day and let me repeat myself...I'm as happy as a lark! I ALWAYS leave impressions.....it's habit, immediately after reading any hub....UP++ pinned & tweeted. Kindred, you crack me up. You're always here first, even when I know how busy you are. I'm not leaving but I sure am disgusted. It took me half a day to write this stupid hub because HP kept freezing and throwing me out. Add that to the problems with the stats and I'm ready to organize a boycott. You know I love writing but this drought is killing my creativity. Feel free to give me some constructive criticism. I'm all ears. But finish your work first. lol Love ya! Funny....yes! Truthful....yes! Concerning.....if you decide to leave, yes!